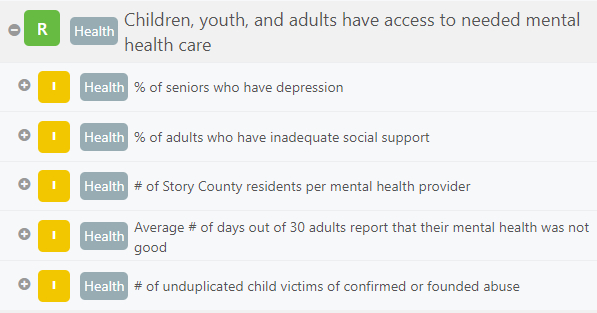 View the video below for a spotlight on one mental health program supported by UWSC funds. 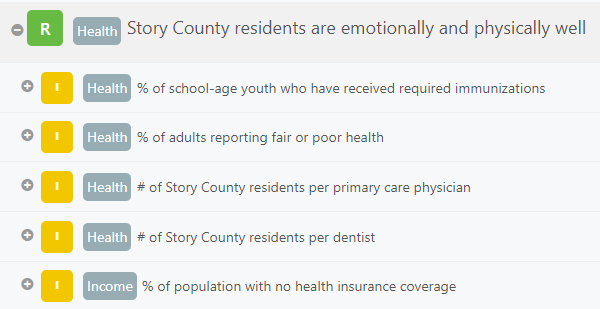 United Way of Story County based its Health results on the Story County Public Health’s 2015 Community Health Needs Assessment, which can be viewed by clicking here. UWSC has partnered with FamilyWize to bring a free prescription discount card to Story County. The card is really just like a reusable prescription coupon on all FDA approved medicines. Anyone can use it. You can even use it if you have health insurance, both during deductible periods and for anything your insurance doesn't cover. Simply stop by our office (315 Clark Ave. in Ames) and pick one up, or downloaded a printable card online! Despite our efforts to address the problem, we know that the number of people in our county who go to bed hungry at night is much higher than most of our general population recognizes. Because of that, we developed a Hunger Collaboration to work with others in our community to create a plan that educates our communities that there is a need and to work together to significantly reduce the incidence of hunger in our community. A few of the strategies to reduce hunger in Story County began by the Hunger Collaboration include BackPack Program, summer food service programs in Nevada and Ames, Commodity Supplemental Food Program for seniors, and helping to facilitate partnerships among agencies that can collaborate to reduce hunger. We need to understand the "why" of hunger so that we can create a community-wide action plan that not only addresses the immediate needs, but works on developing solutions that can be identified and acted upon. To learn more or join the Hunger Collaboration, email Sara Zejnic. Story County’s Free and Reduced Lunch rates have increased in recent history; county-wide, it translates to one in four students. What does that mean when those kids aren’t receiving food at school? To feed at-risk students over the weekend, United Way of Story County started the BackPack Program™. This program sends a backpack full of food home with a student over the weekend and extended school breaks. This program has been expanded after the benefits were reported by teachers and is now operated in three Ames elementary schools, Ballard and Nevada. More than 100 kids participate each week. Over the summer, food insecurity for families trends upward and traffic at food pantries increases. UWSC created the LIVE UNITED Food Drive in 2009 to help meet this need. Running in May, right before schools are released for the summer, this drive helps stock the food pantries before their increased circulation. UWSC is doing even more to help meet the summer demand by coming together with other community organizations to run summer food programs through Summer Learning programs in Ames, Nevada, Ballard, and Collins-Maxwell.